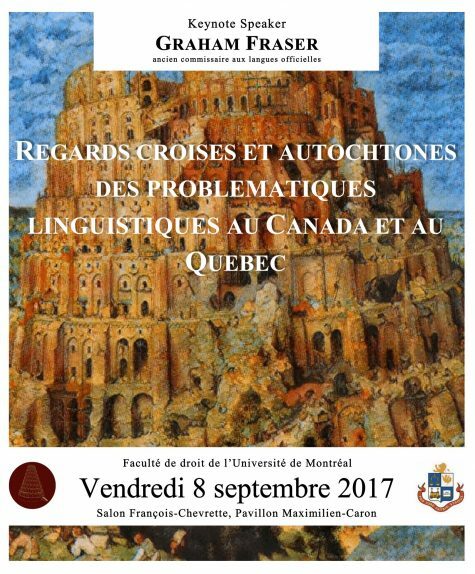 The Observatory is proud to announce that it's co-director, Maître Frédéric Bérard, Doctor of law, will present a conference on linguistic rights as a part of the event "Hangzhou 2017: Law, Language and Justice," organized by International Academy of Linguistic Law scheduled for the 16th and 18th of May 2017. Title of the conference: The Resurrection of « dying ducks »? The impact of the Canadian Charter of Rights and Freedoms on the judicial status of francophones outside of Québec? Doctor of law, co-director of the National Observatory on Language Rights (UdeM) and researcher/collaborator for the Centre recherche du droit public (CRDP). This content has been updated on 8 October 2016 at 14 h 27 min.